You’ve already seen the trailers on TV and quickly formed an opinion about a ten-year-old fifth grader who was born with a disorder called Treacher Collins Syndrome. This disorder typically causes deformities of the ears, eyes, cheekbones and chin. This movie is adapted from the Best Seller novel of the same name by R. J. Palacio who is a mother and long-term resident of Manhattan. Palacio also participated as Executive Producer and she seems to have kept close reins on the script as it follows the book closely. Palacio’s novel and the movie both tell Auggie’s story through the perspective of Auggie, his sister, and his friends. It was genius on the written page and Chbosky had the wisdom to “follow the script” when writing his script. You will love Auggie and understand his challenges to merely walk into his new school with his head down much less make friends with immature children. 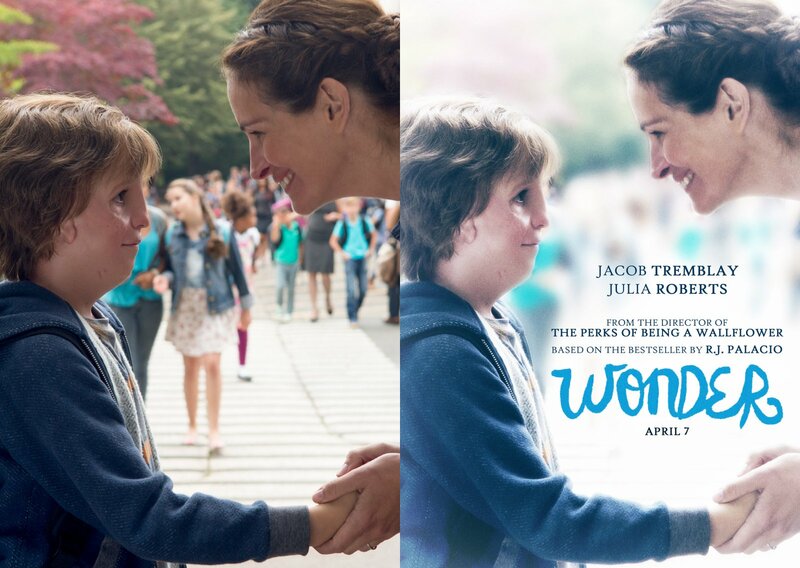 Everyone in this movie is a winner and the cast is outstanding: Mandy “Homeland” Patinkin as the school principal Mr. Tushman, Daveed “Hamilton” Diggs as the cool teacher Mr. Browne, Isabela Vidovic as Auggie’s loving and compassionate sister, and Owen Wilson and Roberts as Auggie’s parents. Is the movie as good as the book? Yes, thankfully. I had high hopes for this film and was not disappointed and I give credit to Chbosky’s guiding hand by creating a movie that is one part humor for each part sadness. Rock ‘n Roll.